Hala is a 5-year-old girl from Sinjar. 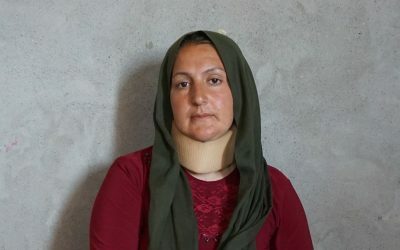 Like many Yazidis, her family was forced to flee from their home in Sinjar through the mountains in 2014. 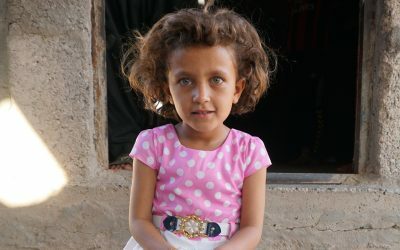 Hala now lives in a small room in a cement factory with her parents and two siblings. Doctors suspect the sweet girl suffers from cerebral palsy. Sweet, sweet, Saly is two years old. She lives in Esian IDP camp with her parents and eight siblings. Saly has suffered from sensorineural hearing loss since birth. She is totally deaf and cannot speak. 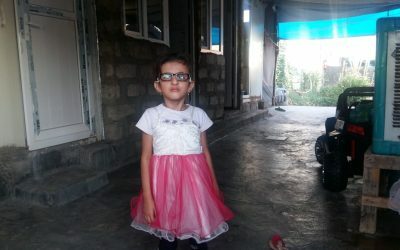 Now, Saly needs a cochlear implant to allow her to hear! 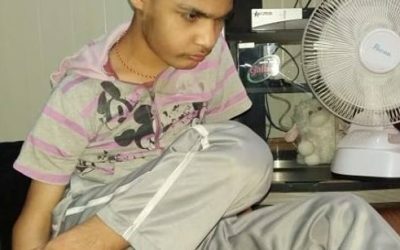 Dkhel (22) was born with severe congenital deformities of his pelvis, legs and feet. As such, he can barely walk a few meter to the café next door to his caravan in Dawoodia IDP camp. With our help, Dkhel must undergo five reconstruction surgeries. 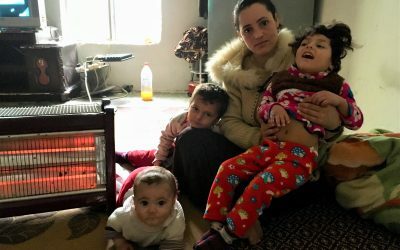 Wafa is a 29-year-old, mother-of-four, with a severe heart condition. She needs surgery for the implantation of a life-saving cardiac device. Desperate, Wafa has travelled far to ask for help, with your donations, we may get closer to securing the operation. 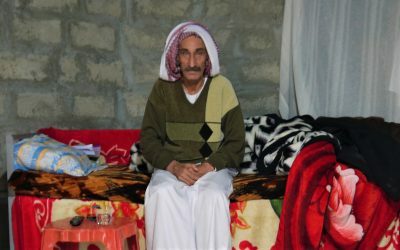 Shamo Hassan is a 63-year-old Yazidi man from the Smoqi tribe in Douguri, in the Sinjar region. After his displacement, he suffered from a subarachnoid brain haemorrhage and now requires expensive laser brain surgery as well as medication to correct the damage. 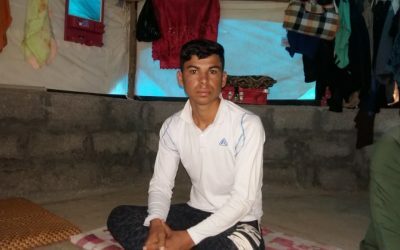 Mulhem, like so many other Yezidi children, fled from his home in Sinjar four years ago and now lives in a camp for displaced people near Duhok, Kurdistan. Now he is 20, with a big family who many counts on him for income, but he is quickly losing his sight. 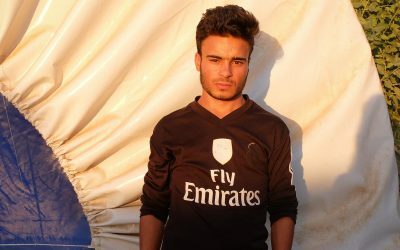 Salam lives in Berseve camp, near Zakho. At 20 years old he is the oldest of 9 siblings. 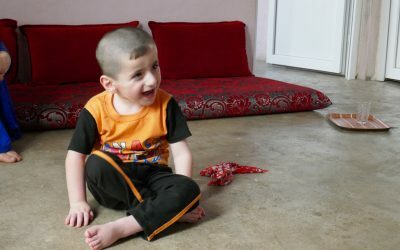 Salam is the only man in the family because his father was kidnapped by ISIS and is still unaccounted for, but unfortunately, Salam is unable to work or study because a tumor in his right optic nerve damaged his vision. Tahsin is a 13 years old Yazidi girl and Delho is a 9 years old boy both from Telazer in Sinjar. She spent 7 days fleeing from ISIS over Sinjar Mountain to Kurdistan on the back of a Donkey in 2014. 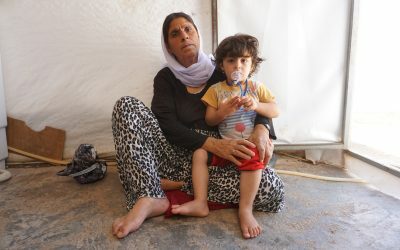 Tahsin now inhabits Kabertoo Camp overcrowded with approximately 30,000 other Yazidi IDPs. 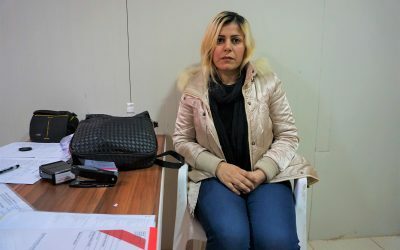 Seve is a 38 years old woman who left her home in Wardia by foot over Sinjar Mountain with countless others in the heat of the 2014 summer to escape ISIS invaders. 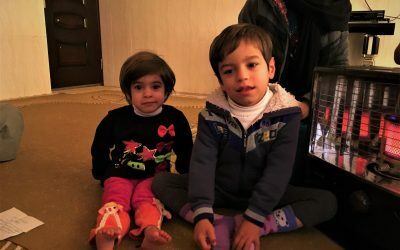 Seve now lives in Dawoodia Camp in two conjoined caravans with her parents. She is affected by breast cancer and is in need of expensive medical care. Kheri is a 47 years father of 8. 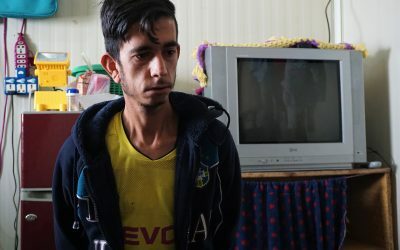 He is originally from Tel Quasab near Sinjar city, but in 2014 after ISIS’ invasion, he was forced to flee with is family. Kheri and his family now live in Khanke camp which is also home to approximately 10,000 other IDPs. There is only one member of Kheri’s family that is able to arrange work. 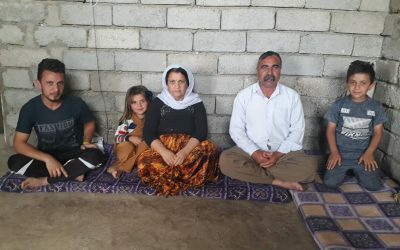 Ramia is an 11 years old girl who was born in Kabertoo Camp, a IDPs camp where mostly people from Sinjar are still living because of the lack of support services, employment opportunities and danger that still plague the Yazidi homeland. Ramia and her five siblings suffer from micro-coria, a disease of the eyes. 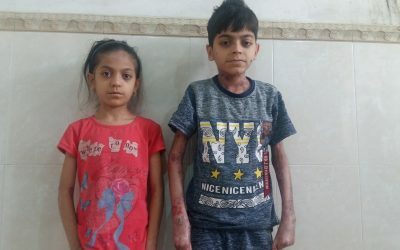 Maimona and Moahmed are two siblings both suffering from epidermidis bullosa a disease that makes the skin hypersensitive, so they have slowly lost their thinner limbs and you are constantly covered of blisters. Maimona and Mohamed live in one very small room with their two sisters, mother and handicapped father. 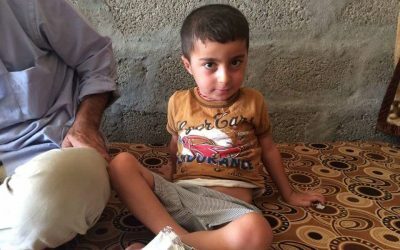 Abdulla is a 7 years old boy from Anbar. 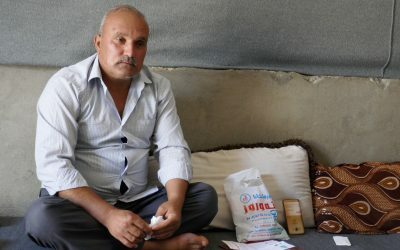 When ISIS invaded the area in 2014, his family didn’t manage to escape in time and was forced to live under the unhumane ISIS regime for two years. 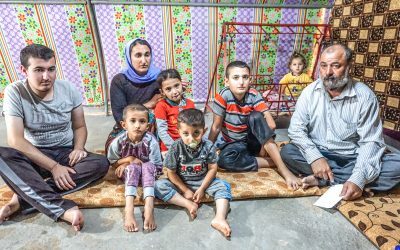 Finally, in 2016, Abdulla’s family moved to Kasnazan, Erbil, where he now lives with his parents and his sister. Now, Abdulla needs support to manage his ADHD and autism. 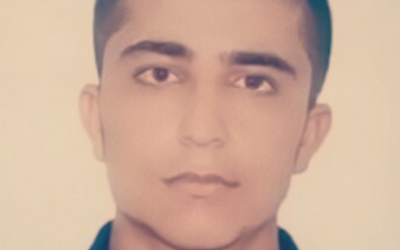 Sabhan is a young Yazidi man aged 15. 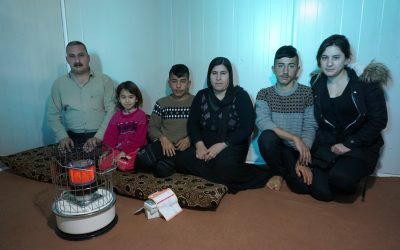 He is from Sinjar but he now lives Ankawa a Christian suburb of Erbil living in an unfinished apartment building with 25 families including his own. After he underwent neurological damages due to a head injury, he is need of physiotherapy. Gose is a 40 years old woman with ten kids all still fully dependent on her. She now lives in Badje Kandala an IDPs camp near Duhok. During the last years, she went through many troubled situations and she now needs help to overcome a further challenge: a severe back pain which prevents her from walking and moving freely. 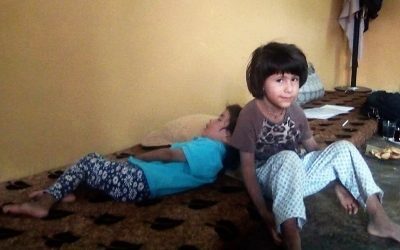 Dunia is a 7 years old girl and she is the older sister of Diar who is a 4 years old boy. The pair now live in Shekhan village but originate from Gerzan in the South of Sinjar district. 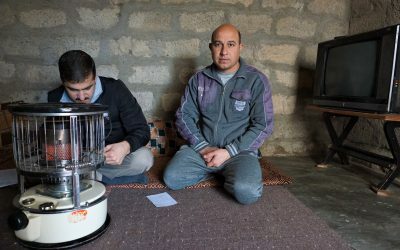 They were forcible removed from their home in 2014 by the encroachment ISIS invaders. They needed a join operation and thanks to Polish private donors we were able to provide it! Ahmad is a young boy of 3 years of age. He has four siblings living with him and his parents, two of which are two beautiful girl twins. They live in Balqoosh a small village enar Duhok. Ida is 20 years old and she has a big family. All seven of her siblings live with her and the youngest is only 4 months old. Ida lives in Khanke, a massive IDPs camp near Duhok. Ida’s father is separated from Ida’s mother and now lives only with his second wife and all his children. He was a builder before 2014 and was able to make a decent living. Seve is 58 years old and lives in Chamisko camp. 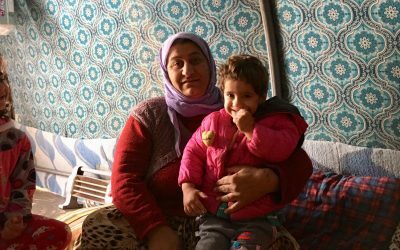 She has three kids and she now lives in a tent with her son’s family. Her husband was in the army and was killed in 2006. Seve has not financial support beside a small compensation she receives monthly for the loss of her husband (250$ every two months). Seve suffers from ischemic heart disease. Vian is 8 years old and she is the youngest member of her family. She has five siblings and one of them is married. She is from Rambusi a small viilage in Sinjar mountain. 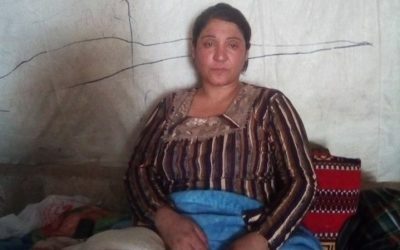 As many other IDPs from there she escaped to the mountains, walked to the Syrian border in the burning August of 2014, and lived in a unfinished building until 2015. Maha is 5 years old and she lives in Kabartoo, a camp near Duhok hosting around 30000 displaced people. 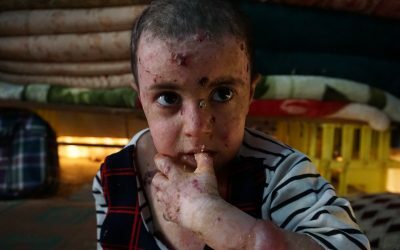 Maha is affected by Epidermolysis Bullosa, a disease that increases skin sensitiveness and for which no effective cure has been developed yet. Accordingly, her skin is constantly covered of blisters and wounds. 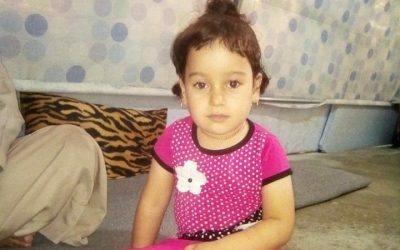 Zahra is a 5 years old girl from Bork, small town in the north of Sinjar region. She is affected by chronic nephrolithiasis. Since 2017 she had to go through four surgeries to remove these recurrent Stagorn stones. Each surgery cost around 500$ and thanks to donations we were able to cover 100% of surgeries expenses. However, Zahra still needs support. Kaji is a 43 years old woman and she is the mother of 7 kids. Two of her seven boys are currently going to University which is a great privilege for IDPs in this region. Kaji lives with her family in a small house in the village of Khanke. 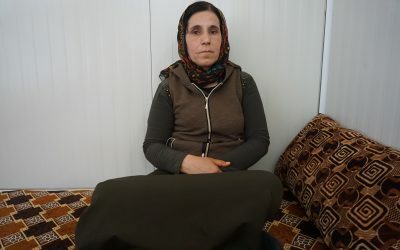 Her family, similarly to thousands of others, found refuge in the Sinjar mountains during ISIS advancement through the region in 2014. Khalid is a young Yezidi boy. Because of a bomb explosion, while fleeing from ISIS, he lost his hearing. Now, the only chance for him is the extremely costly surgery. Help us with his fundraising: goo.gl/LkBxKn. For more information, e-mail us at handsap@step-in-project.org.